Edwardian-style tiled floors are very much of a likeness with Victorian-style tiled floors, both typically being made of encaustic cement and styled in painted in geometric patterns. 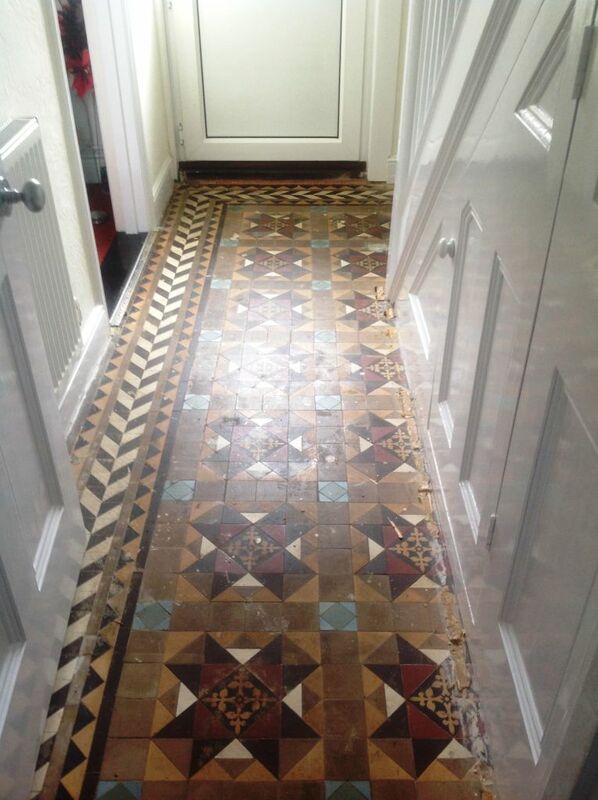 The main difference, of course, is that Edwardian tiles are a main feature of Edwardian-era houses (1901-1910), while Victorian tiles are found in slightly older properties. 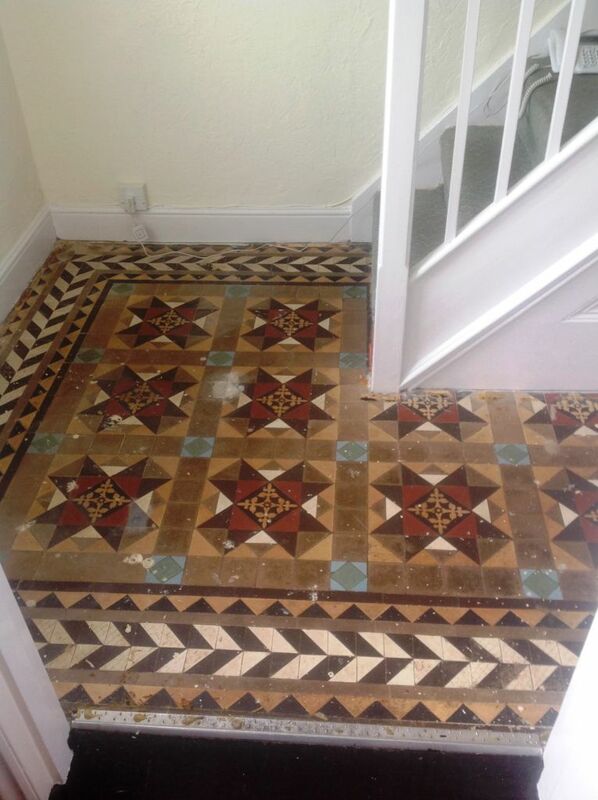 As with many Victorian tiled floors, we’ve found that Edwardian tiled floors have commonly been hidden away for many years under carpet or some other form of covering. 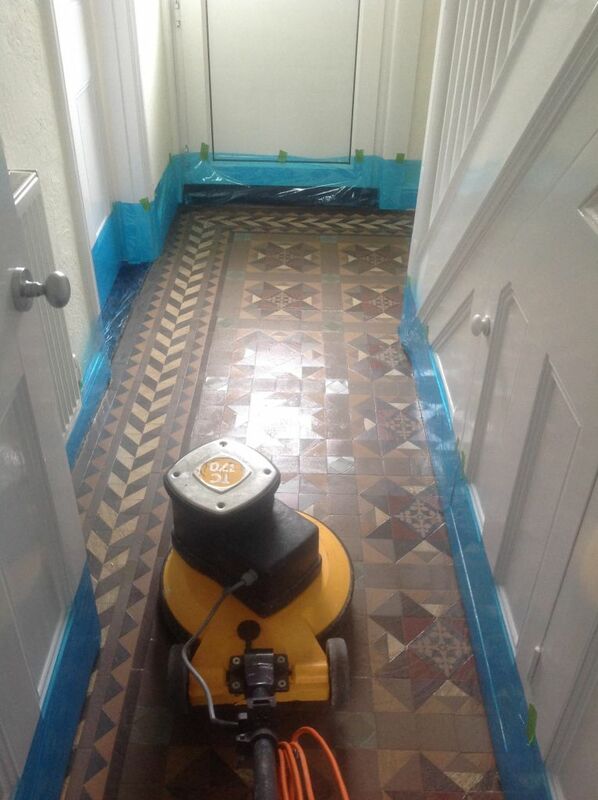 These hallway Edwardian tiles, at a property in Chippenham, had been covered by carpet for 30 years. 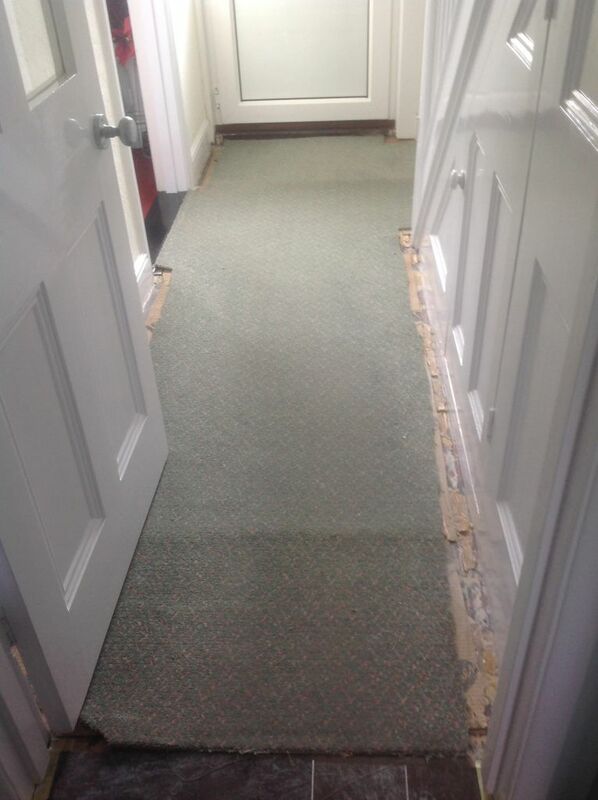 Upon removing the carpet, we could see why – the hallway was covered in paint splashes, decades’ worth of dirt and, of course, adhesive stains from the underlay. 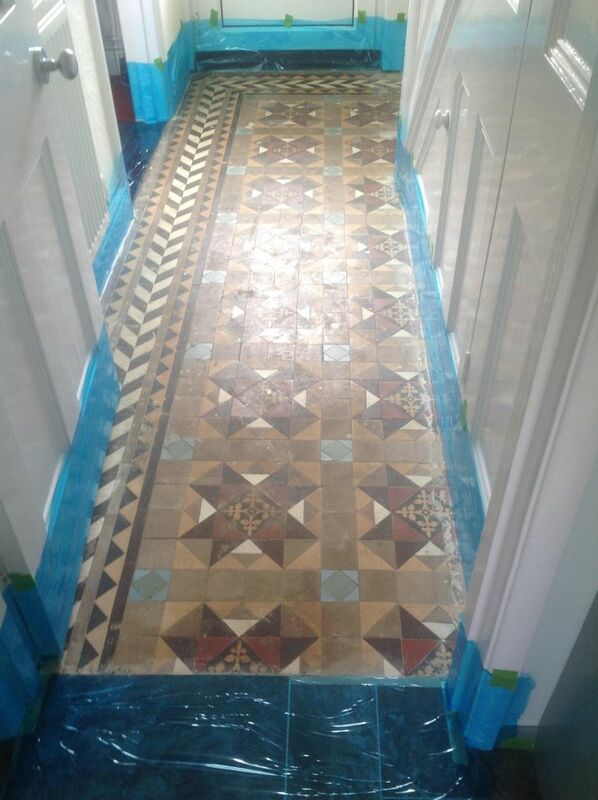 My task was to restore the hallway floor back to its peak condition, when it was first installed over a century ago. The first step of the restoration was to ensure the walls surrounding the hallway were protected. I did this by applying a protective film around the edges of the room. Next, I removed all the old carpet grippers and adhesive deposits manually using a handheld scraper. Tile Doctor Remove and Go was then applied to the floor to strip away any old sealant, which certainly by now was no longer effectual. This product also helped to break down the paint stains on the surface of the floor, though I also used a handheld scraper, as well as a rotary machine fitted with a black scrubbing pad, to speed up the process of removing both the sealant and the paint. To complete the cleaning process, I applied Tile Doctor Acid Gel, which is a blend of phosphoric and hydrochloric acids in a gel form, formulated to remove grout haze (grout smears) and treat efflorescence which is the formation of white salts on the surface of the tile. I left the floor to dry completely overnight after installing air movers to assist with the process. 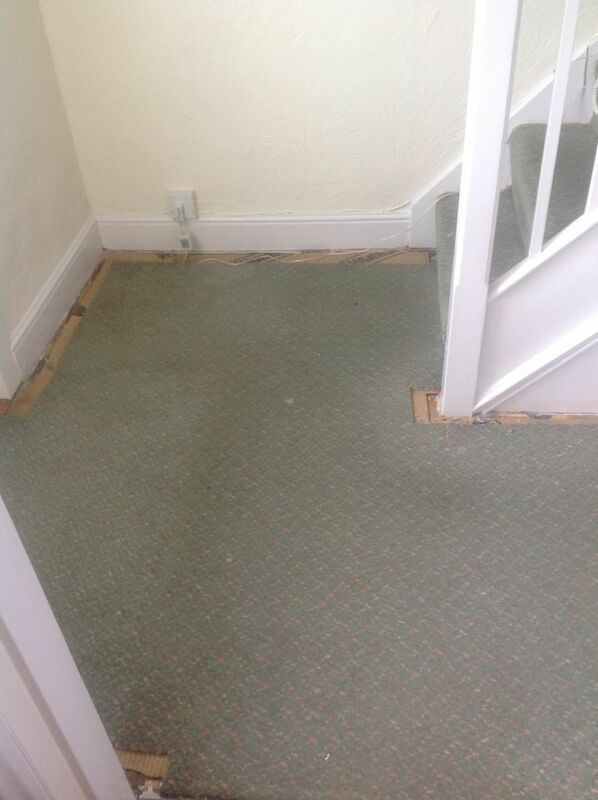 These older properties do not typically have damp-proof membrane installed, which makes damp issues a real possibility. Upon returning to the property the following day, I ran some damp tests, and thankfully the tiles proved dry and ready to be resealed. To do this, I used one coat of Tile Doctor Ultra-Seal, which is a penetrating sealer designed for maximum stain protection. I then also added four coats of Tile Doctor Seal and Go to provide the customer with the low-sheen, highly quality finish he desired. 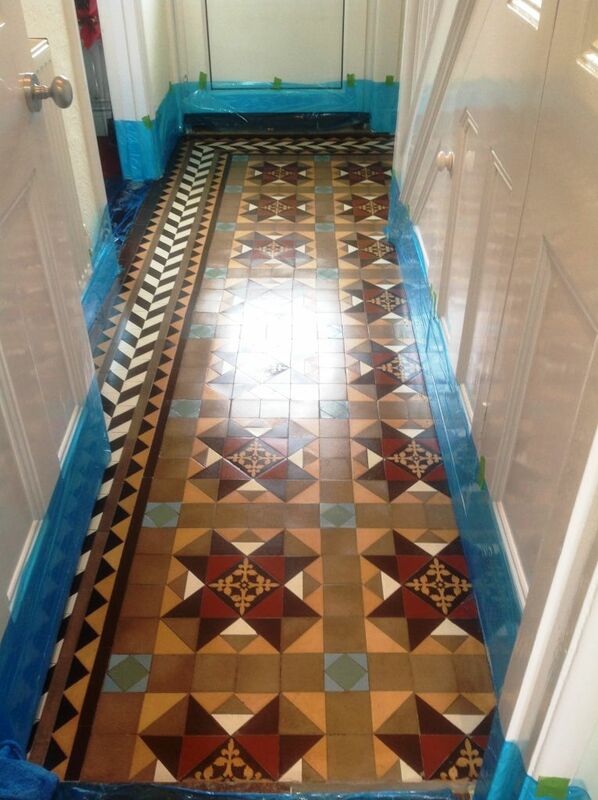 This entry was posted in Victorian Posts and tagged Cambridgeshire, Chippenham, Chippenham Tile Cleaning, Chippenham Tile Restoration, Chippenham Tile Sealing, Edwardian Tile Cleaning, Edwardian Tile Restoration, Edwardian Tile Sealing, Renovation by AbzDominise. Bookmark the permalink. Covering Cambridge and the surrounding area Tom Conlon is an agent of Tile Doctor, the largest Tile and Stone cleaning network in the UK who have developed the products and techniques to handle a multitude of issues surrounding tile restoration including stone and grout internal or external.